MONSIGNOR Myles J. McGowan, 96, the oldest priest of the Archdiocese of Baltimore, died Saturday, August 29 at Stella Maris Hospice, after suffering a stroke. Msgr. McGowan was the last of the many Irish born priests who immigrated to this Archdiocese from Ireland during the twentieth century. Born to John and Ellen McGowan in the town of Mohill in County Leitrim, Ireland, on April 18, 1913, Msgr. McGowan attended St. Mel’s College in Longford and soon after graduating decided to study for the priesthood. He attended All Hallows Seminary in Dublin and was ordained a Priest on June 20, 1937. His first priestly assignment was in Askeaton, County Limerick, where he served for two years. The young Father McGowan had dreams of coming to the United States and saw an opportunity for realizing them after meeting Archbishop Michael Curley, Archbishop of Baltimore at the time, during a visit to his native Ireland. Archbishop Curley invited the young priest to come to Baltimore and begin priestly work. His first assignment was at St. Gregory the Great parish in West Baltimore where he served from 1939 to 1943. During World War II, when there was a great need for chaplains, Father McGowan volunteered and trained at the Army Chaplain’s School in Harvard. Upon completion of his training, he was assigned to the Army Air Force’s flight training school at Shaw field in South Carolina. It was at this time that he became an American citizen. From there he shipped out to the Mediterranean Theater of Operations, becoming Chaplain with the 817th Engineer Aviation Battalion based in Florence, Italy. Chaplain McGowan was awarded a campaign ribbon with two battle stars for his service. After V-E Day, he was based in Foggia, Italy and became part of the famous Second Bomb Group. As a “sky pilot” with this B-17 outfit, he flew to Palestine, Africa, Greece, Switzerland, England and his native Ireland. He had six audiences with Pope Pius XII during the war years. When he returned from the War he joined the National Guard and was discharged in 1973 with the rank of Lt. Colonel. He served at the following parishes: Immaculate Conception in Towson as associate pastor (1946-1956), then as pastor at St. Joseph in Midland (1956-1958), St. Louis, Clarksville (1958-1967), and St. Ursula in Parkville, where he served for more than 20 years (1967-1989). He was appointed a Prelate of Honor with the title of Monsignor by Pope John Paul II in 1982. He retired in 1989. Monsignor McGowan belonged to the Knights of Columbus and the Ancient Order of Hibernians. He served the Archdiocese as a member of the Personnel Board, Priest’s Senate and the Building Commission. An avid golfer, Msgr. McGowan was known for his love of horses and even made an occasional trip to a race track to watch the horses run. A most beloved priest of the Archdiocese, Msgr. McGowan was quick with his Irish humor and wit and was perhaps known best for his dedication to the Church and to serving the needs of people. He is survived by his sister, Eileen Fannon of Clondalkkin, Ireland, many nieces and nephews and grand nieces and grand nephews. Monsignor McGowan’s body will lie in state at St. Ursula Church, 8801 Harford Road, Parkville, on Tuesday, September 1, from 3-9 p.m. 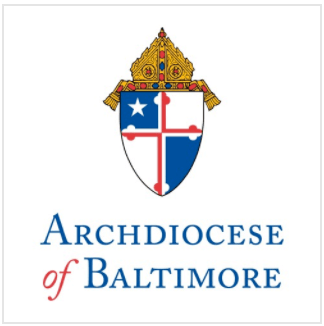 There will be a Christian wake service at 7 p.m. His funeral Mass will be celebrated by Archbishop Edwin F. O’Brien, Archbishop of Baltimore, on Wednesday, September 2 at 11 a.m.